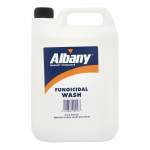 Block all household stains, suitable for use on all interior walls and ceilings. Permanently blocks all household stains, suitable for use on all interior walls and ceilings. Can be applied direct to damp surfaces and can be decorated over in 4 hours. 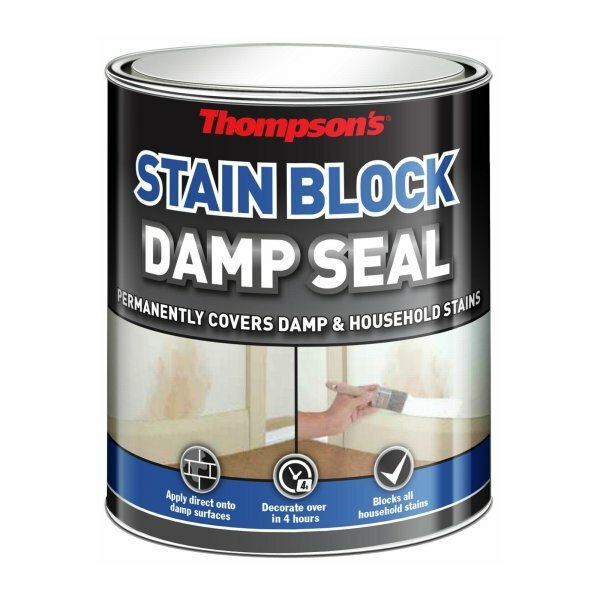 Thompson's Stain Blocking Damp Seal is a high performance interior coating which permanently covers damp, water and other common household stains. It can be applied directly to damp walls and ceilings, which can then be decorated without risk of damp showing through. It is specially formulated to allow trapped moisture to evaporate over time to prevent paint flaking or wallpaper peeling off. Thompson's Damp Seal can be applied to most interior walls or ceilings including plaster, cement and stone. It cannot be used on exterior surfaces, below ground level or where efflorescence is present. 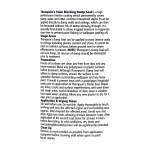 NOTE: Thompson's Damp Seal will not cure damp, all sources of damp should be eliminated prior to treatment. 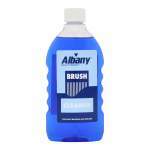 Ensure all surfaces are clean and free from dust and any loose material. Mask any polystyrene or plastic surfaces before treatment. 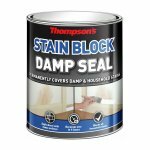 Although Thompson's Damp Seal will adhere to damp surfaces, ensure the surface is not saturated. Remove surrounding wallpaper and any loose paint. If mould is present treat with a proprietary fungicidal wash prior to application of Thompson's Damp Seal. Repair any holes, cracks and surface imperfections, and sand down any rough areas. Avoid inhalation of dust, wear a suitable face mask when sanding. Allow any new plaster to dry for 7 days prior to application. Stir well before use. Do not thin. 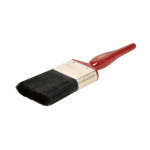 Apply thoroughly by brush, working well over the affected region and surrounding area (approx. 30cm before the affected area). Avoid runs and drips. Apply two coats allowing 4 hours between coats. After application of the second coat leave for at least 4 hours before decorating. In cold conditions, dry times and overcoating/decorating times will be significantly extended. Remove as much product as possible from application equipment before cleaning with white spirit or paint brush cleaner. Some local authorities have special facilities for the disposal of and dispensing of waste coatings. Do not empty product into drains or watercourses.